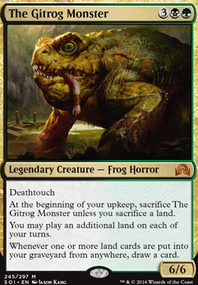 If a player fetches while they control The Gitrog Monster, do they draw or fetch a land first? Life is rarely a concern, one game I didn't have enough life to Razaketh, the Foulblooded the necessary mana sources + Goblin Bombardment (Post-Combat engagement so couldn't attack with the Infinite Restoration Angel that turn). I did end up recovering on the next turn anyway, by pulling (at the time), Whip of Erebos and then Lifelinking a Razaketh, the Foulblooded swing giving the life needed to tutor the win. I did have one game with a failed Doom Whisperer Surveil, usually he just Surveil's into the win, but that one time he really screwed me. Lost that game to an Infinite win-con anyway, so he didn't lose me the game, just didn't win me the game. Other than that, it's rarely been a problem, one time I didn't want to Anguished Unmaking when I normally would have, but again, didn't cost me the game. It's really Turn 5 steady, sometimes Turn 1-3, sometimes 7-8, but averages out in that 4-6 range consistency. weezel has been consistency running around there too, gave him some tips on supercharging some plays that he may not of thought of that I learned through play experience, so hoping he can improve his stats. I really want this deck to be consistent Turn 4.5 (not 5), that is my goal. That said, I'm not willing to sacrifice everything to have a higher % of Turn 1. Let's say I'm 6% (ish) for Turn 1 now, not going to throw away Turn 6 wins, to go to an 8% Turn 1, need some balance. It's fun deck, who doesn't like big A/D/D. 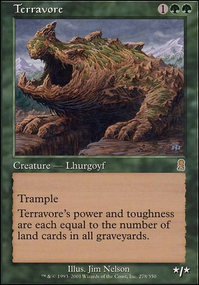 Much more fun in my opinion than a The Gitrog Monster for example. Even with regard to Heartless Summoning , the Constant Mists can be a great alternative to your friend Spore Frog ... You have the disadvantage of having to sacrifice a land if you want to activate the Buyback but it has the advantage of being in your hand and being a protected surprise ... And if in the act itself you have The Gitrog Monster still win an extra draw! @DuTogira I'm not saying you're wrong, but even when I hear this for the tenth time from a different person it just doesn't click with me, because it revolves around a concept that 99% of players really don't have a great understanding of. 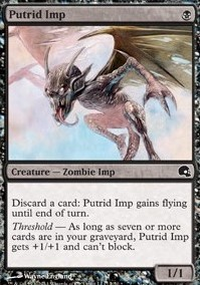 If this strategy was just as viable in competitive play as Krark-Clan Ironworks I'm pretty sure they would ban The Gitrog Monster not based on its power level, but the fact its rule interactions are even more archaic and difficult to fully comprehend than it was for KCI and probably would create an unpleasant game experience for a lot of players. 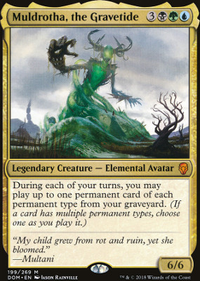 I think even experienced players who do understand the deterministic capabilities of this deck would still feign ignorance and ask you to play out the combo if it means they get the upper hand in a match in a tournament setting. 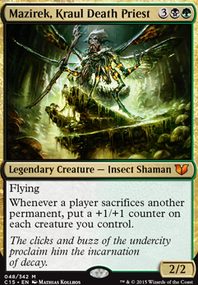 It's this aspect I don't like about this combo as I feel like the legality of this deck is defined best with the word "technically" followed by a bunch of asterisks. 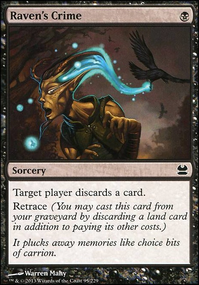 I know dredge as a mechanic was one of Wizards biggest regrets, but if a strategy like this ever became popular in the more competitive formats I think it would create a breaking point for that keyword. 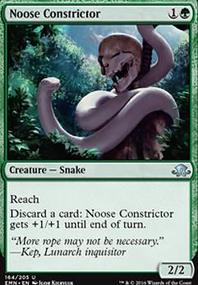 With the The Gitrog Monster + Dakmor Salvage + Noose Constrictor you can discard Dakmor Salvage and dredge it until you dredge your whole deck. 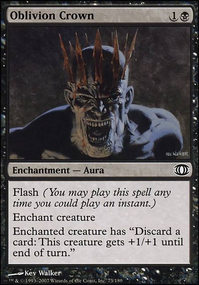 If you always discard the Dakmor in response to any draw trigger or reshuffle trigger to resume dredging you can shortcut dredgind your whole deck. 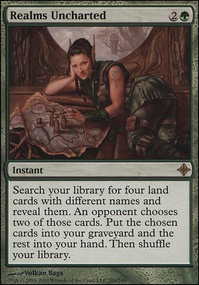 Once that shortcut is explained, you can flip your deck into your graveyard and for each land before your reshuffle card you dredge and discard a non-land dredger. 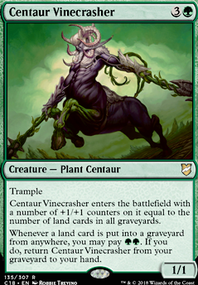 Then you count lands put in graveyard during combo before the shuffler. Shuffle and draw that many. You can repeat this as many times as you want. 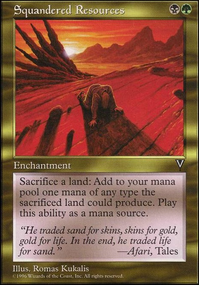 Then, to keep it "simple", discard other lands to draw some more then repeat. Remember that if you end up stacking to many draw triggers in the loop you have just demonstrated at the end of it you can once again keep discarding and dredgind the non-land dredger. 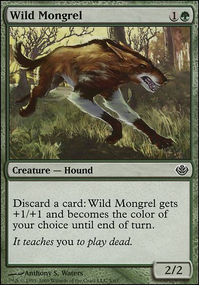 With the exception of 6 cards, including your commander, your deck is green black. Switching your deck's commander to The Gitrog Monster would provide you with an easier mana base. Something worth considering. 40 cards total, that means you need to put 40 draw triggers on the stack to draw out your deck right? 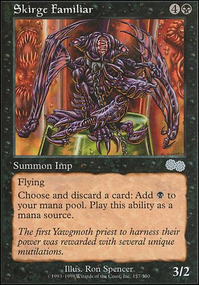 You discard Dakmor Salvage using Noose Constrictor create a draw trigger from The Gitrog Monster , instead of drawing you dredge 2, meaning you put two cards from the top of your library too put back Dakmor Salvage into your hand. You hit a land from the dredge, putting a draw trigger on the stack. 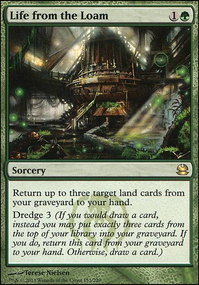 Instead of drawing that card, you respond to the trigger, discarding Dakmor Salvage again, creating a draw trigger, which you put salvage into hand, dredge 2, this time however you whiff. You do this 20 more times because you have 40 cards in library, eventually hitting an eldrazi shuffle titan, and you create thirteen draw triggers. At the end, you let the eldrazi shuffle trigger resolve, shuffle all 40 cards, and repeat. You mill your whole deck again, this time however you create 14 draw triggers, for a total of 27 draws.You do it again. This time you create 9 triggers. Now you are at 36. You do it again, now creating 15 draw triggers, for a total of 51 draw triggers. Now you resolve the draw triggers. You draw out 40 cards. At draw 41, you discard the shuffle titan. You shuffle, and draw the titan. Draw 42, you discard the titan. You now don’t draw out your deck. Now, you are saying because I have variance between how many draw triggers I put on the stack when I mill out my deck each time, you want me to play it out right? Ok, I played it out. Took me less than ten minutes. The combo is fine.